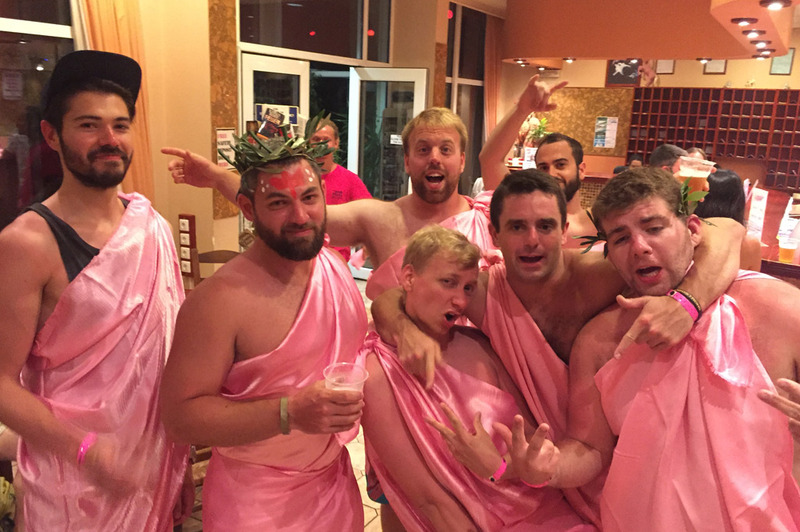 Grab your PINK TOGA! Let’s go! 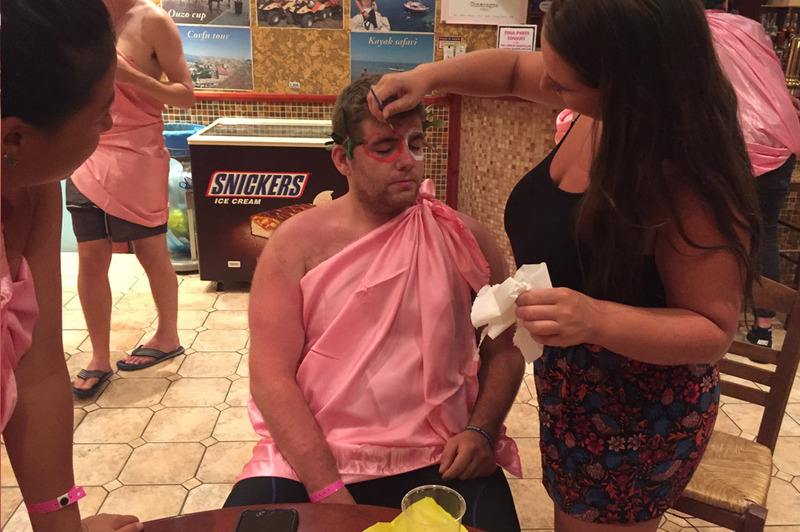 Every Saturday night we round up the visitors, stick you in pink togas, and gather in The Palladium Nightclub for what will be the best night of your vacation! 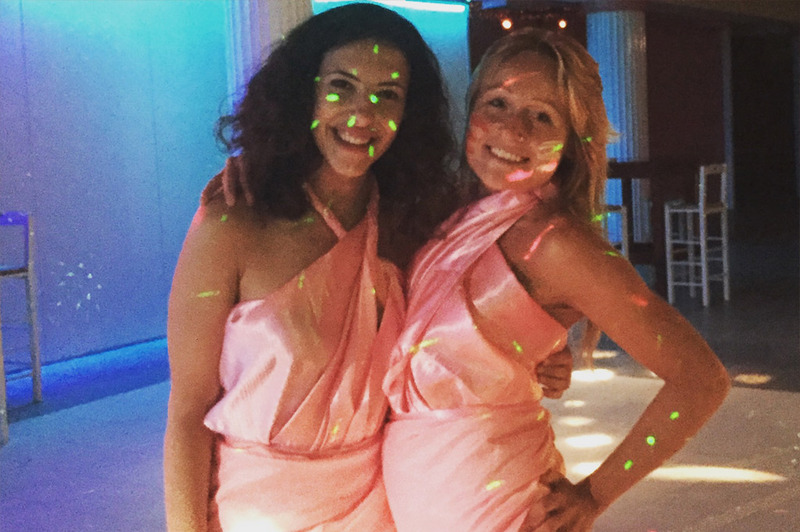 Every guests needs a photo wearing the Toga… It’s like a shot with the EiffelTower, riding a camel in the desert, or climbing Machu Pichu. 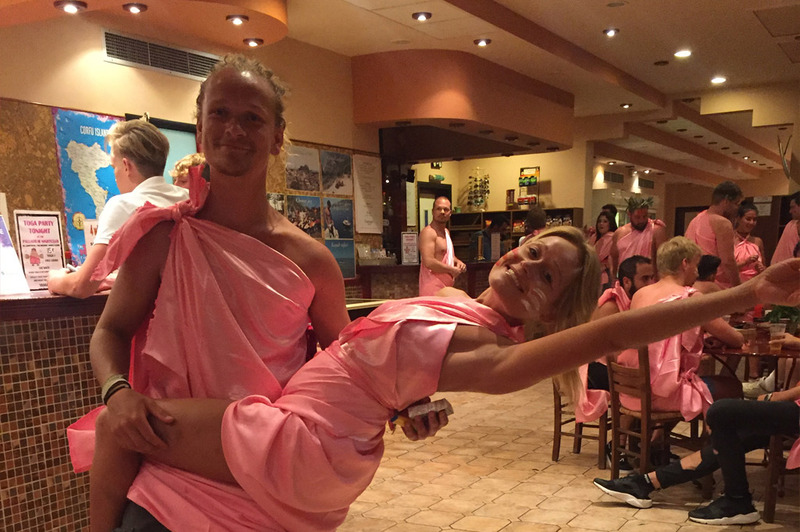 Your photo in a Pink Palace toga is one of the staple travel pics you’ll need to add to your collection. Around midnight when you hear the music stop you’ll be asked to sit down in a circle and wait for the show to start…. Ladies, get ready. We choose one Goddess to be the centre of the circle. 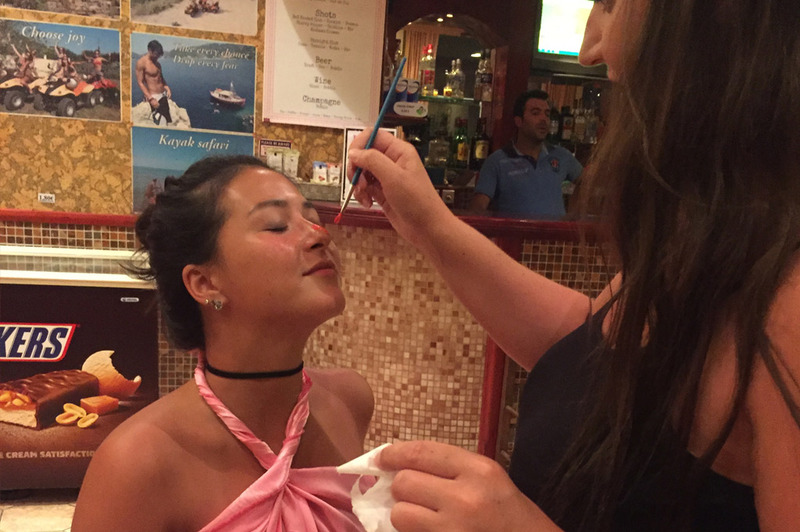 The Goddess gets special attention before the crowd joins in. From breakdancing, to swing dancing, to just busting out some really crazy moves, our staff will get you out of your comfort zone and take you to the next level. Although we highly encourage you to stay with us, the good news our events are now not just exclusive to guests! Visit our reception desk to check-in as a visitor and join the party. 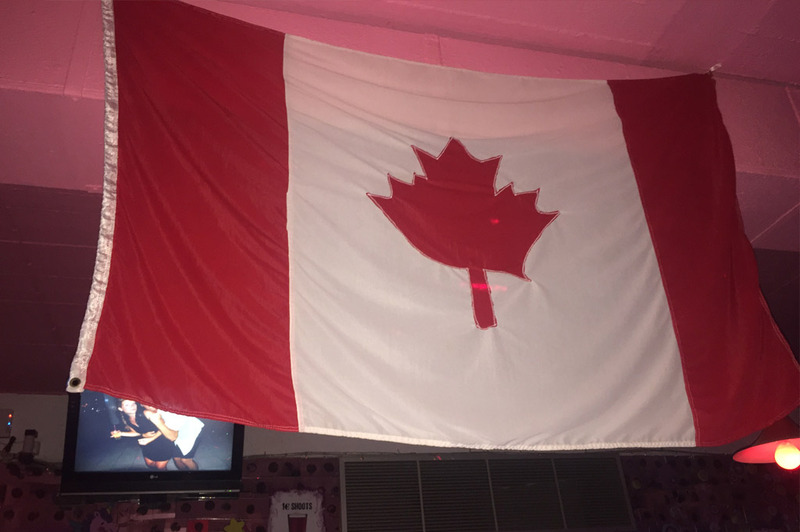 SEE YOU THIS SUMMER AT THE PINK PALACE.